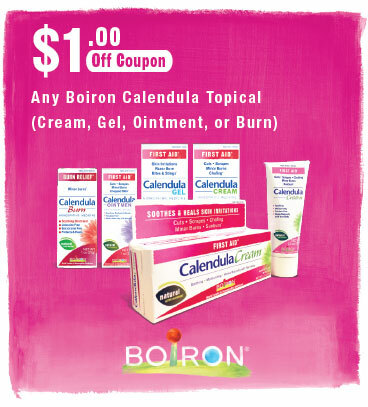 Download a coupon and get $1 off Boiron Calendula today! Calendula Cream is now available at your local CVS and Target stores. Read reviews by consumers and health care professionals. Boiron Calendula skin-soothing medicines are recommended by plastic surgeon Shirley Madhère, MD from New York, NY.